This past January, French fashion house Céline set the Internet abuzz with the release of its spring 2015 print campaign. The ads quickly went viral, blazing a path across Instagram, Twitter and the blogosphere before hitting The New York Times, Forbes and The Atlantic. At the center of all the attention was the face of the campaign: 80-year-old author Joan Didion. Are we experiencing a cultural shift in the way we view aging? Two days later, French luxury label Saint Laurent debuted another eye-catching ad featuring 71-year-old Joni Mitchell. 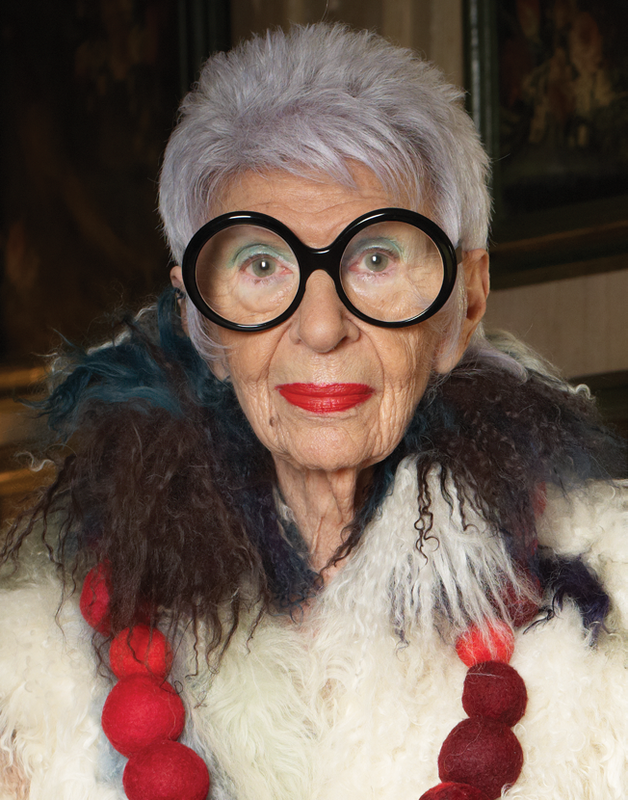 Not to be outdone, Kate Spade and jewelry designer Alexis Bittar rolled out campaigns featuring 93-year-old style legend Iris Apfel. A short time later, L'Oréal announced that it had signed 65-year-old '60s icon Twiggy as its latest brand ambassador, joining 69-year-old Helen Mirren. These are only the latest members of a sorority of seniors being tapped by major brands, with earlier trailblazers including Jessica Lange, 65, for Marc Jacobs Beauty; Charlotte Rampling, 69, for Nars; Catherine Deneuve, 71, for Louis Vuitton; and Anjelica Huston, 63, for Gap. The trend has led many to wonder whether the notoriously youth-obsessed world of fashion and beauty is finally accepting—even embracing—women of a certain age. According to consultancy A.T. Kearney, people over 60 make up the fastest growing group of consumers in the world. In 2000, the 60-plus population globally was 600 million; by 2010, it had swelled to 800 million, and by 2050 it is expected to hit 2 billion. Brands know that along with age comes buying power. In the U.S., where the average wealth of households including people over the age of 50 is $765,000, baby boomers reign supreme, controlling more than 80 percent of all financial assets and accounting for 60 percent of consumer spending. Worldwide, consumers over 50 spent more than $8 trillion in 2010; in 2020, that is projected to rise to $15 trillion. "There's a growing awareness of the influence of older women as consumers and the purchasing power that they have," says Jenny Darroch, professor of marketing at the Peter F. Drucker and Masatoshi Ito Graduate School of Management at Claremont University. "Brands are recognizing that this demographic is an important one." That's especially true of the luxury space, says New York Times fashion columnist Vanessa Friedman, with studies indicating that wealthier older consumers are more likely than the young to pay more for quality goods. "We exist in a post-recessionary world and the millennial generation is more challenged in terms of its buying ability," she tells Adweek. "There is a certain economic imperative," she says, for luxury brands to chase mature consumers. At the same time, there's been a cultural shift in how we view aging. While the heavily Botoxed look still rules in some quarters, "there's more of an acceptance in the wellness world about being comfortable in your own skin," says Darroch. "Women are more comfortable saying, 'I'm aging gracefully and I'm OK with it. I don't need to try to be young and I don't want that stereotype reinforced.'" Both Friedman and Darroch raise the possibility that this trend could alienate younger consumers. And yet, old age is, to a degree, in vogue among the young. The blog Advanced Style, which spotlights fashionable older women, has become a phenomenon among millennials. Celebrities like Kelly Osborne, Nicole Richie and Kylie Jenner have dyed their locks gray. And many of those posting pictures of Joan Didion's Céline campaign all over Instagram hadn't even been born when her book The White Album was first published. "Personal style and fearlessness are attractive regardless of age," says Mary Beech, CMO of Kate Spade, whose spring 2015 campaign featured a group of women that included Apfel alongside 22-year-old model Karlie Kloss. "Iris has this incredible confidence and bravado that you would envy at any age, and the fact that she has continued to showcase that in various aspects of her life, I think people really look up to that and want to emulate that," says Beech. Cultural and economic reasons aside, there is also a novelty factor at play here. "Certainly if a brand perennially used women over 60 in their ads, it would be less interesting," observes Friedman. "But if you go from using 18-year-olds to a 75-year-old, that's going to make people stop and pay attention." Inevitably, the novelty will wear off. But even if many brands return to the usual pool of 20-something models, not all will. At least not the smart ones. Kate Spade, for one, plans to continue its multigenerational approach for the foreseeable future. "In our fall campaign, you'll see an equally diverse mix of backgrounds and ages," says Beech, adding, "This is definitely a marathon for us, not a sprint." At L'Oréal—where CEO Jean-Paul Agon sees mature women as "a new and gigantic opportunity for our company," according to an interview he did last year with The Financial Times—sexagenarians Helen Mirren and Twiggy are just getting started. "I think that this trend is going to get bigger, I really do," says Darroch. "If women maintain the career choices that they are training for, and if society supports them in such a way that they can progress through those careers without having to take a back seat, then they will become even more economically important as they get older. And that will make companies pay attention."